The 23rd edition of the Canadian Electrical Code, Part I continues to serve as a key component in the Canadian electrical safety system. When bundled with supporting products you will benefit from an increased understanding of the impacts and importance of safe electrical installation practices to your business. Leave no room for misinterpretations: Bundle your 2015 Canadian Electrical Code, Part I and Save! Why you need this publication? 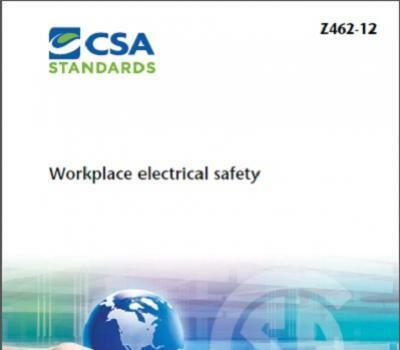 The new edition of CSA Z462 – Workplace Electrical Safety has been extensively revised and updated, with expanded criteria and guidance material. It has also been aligned with the changes and revisions to the 2015 edition of the Canadian Electrical Code, Part I and in parallel with the 2015 edition of NFPA 70E. The 2015 edition of CSA Z462 reflects a major shift towards risk assessment, with new definitions that harmonize with other safety standards such as CSA Z1000 and Z1002. It also adds a considerable amount of resource material geared towards organizations seeking to make electrical safety an integral part of their overall safety management system. Elimination of prohibited approach boundary and HRC Category "0"
Why You Need This New Edition of Z462? The latest edition of CSA Z462 offers direction on integrating electrical safety programs into OHS management systems helping you to comply with due diligence requirements. CSA Z462 provides details on recognized methods for identifying electrical hazards & risk assessment, defines best safety practices and training for work on and around electrical equipment.